Normally, nerves branch off the spinal cord through spaces between the vertebrae. If one of these exit spaces shrinks, it can squeeze the nerve root (the radicular nerve) and cause symptoms in the area served by the nerve. A number of problems can cause a pinched nerve, including a herniated disc, spinal stenosis, or degenerative disc disease. Age-related degenerative changes in the spine account for 70% to 90% of all cases. The good news: there are multiple options for pinched nerve treatment. People with a pinched nerve can have a positive outlook for recovery. As a result, pinched nerve treatment almost always begins with conservative therapies. Your doctor will likely recommend an over-the-counter pain reliever. You will be advised to avoid activities that cause pain or discomfort and may be told to use a cervical collar for a brief period of time, as well as a cervical pillow while you sleep. Physical therapy, range-of-motion exercises, and strengthening exercises can help make your pinched nerve treatment successful. If your pain is severe, your doctor may prescribe a short course of an oral corticosteroid. Anticonvulsant medications may also be used, and epidural glucocorticoid injections are sometimes given for persistent pain. 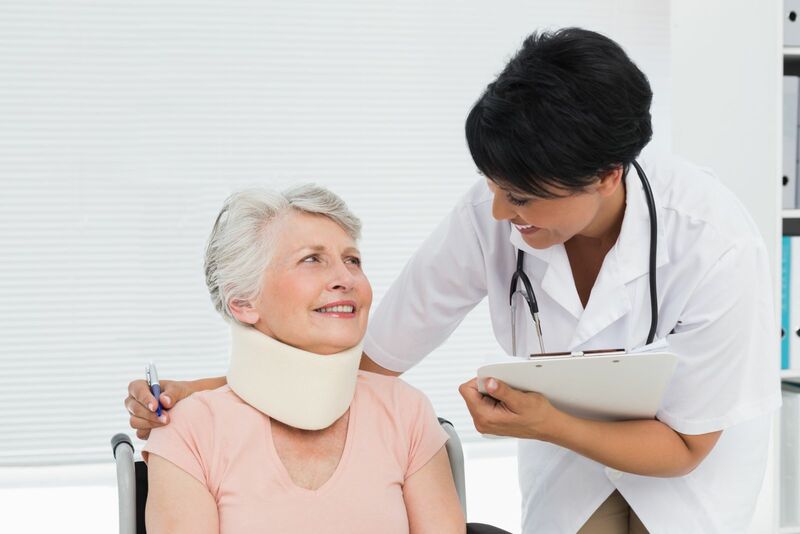 Surgery is not usually considered for pinched nerve treatment unless the pain has not eased with six to eight weeks of conservative therapy, you experience increasing difficulty moving, or there is evidence of spinal cord compression. To learn more about neck pain and ways to treat and cure it, read Neck Pain: A troubleshooting guide to help your relieve your pain, a Special Health Report from Harvard Medical School.